This bannerstone is broken at perforation either because the stone is weakest at this point or because it was intentionally broken as is common with bannerstones at the time of their burial. As is common with the geniculate shape, the perforation is oval rather than circular. 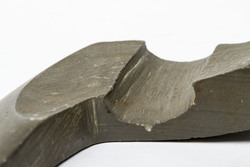 Carving and banding are elegantly aligned, with smooth polished surface. 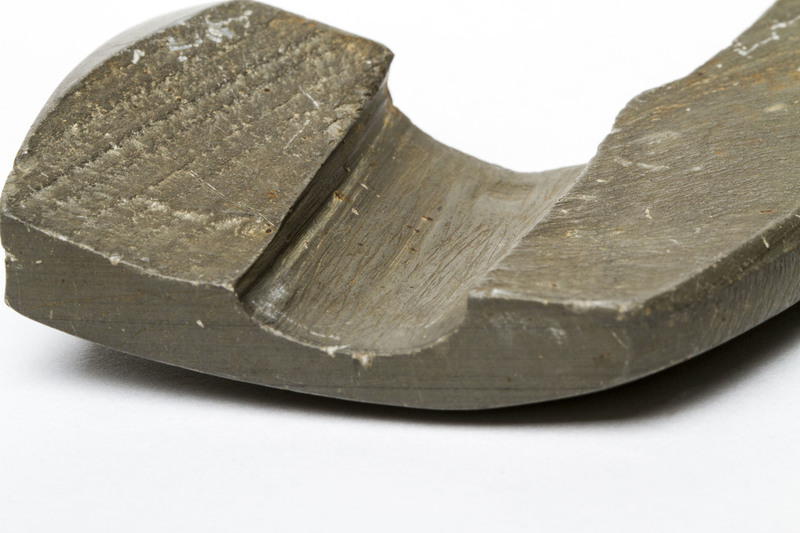 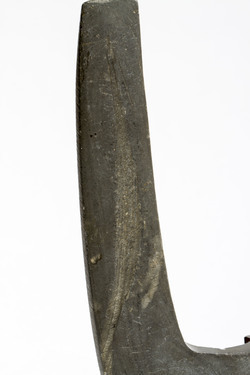 The perforation made was with a combination of drilling and scraping to achieve the oval shape. 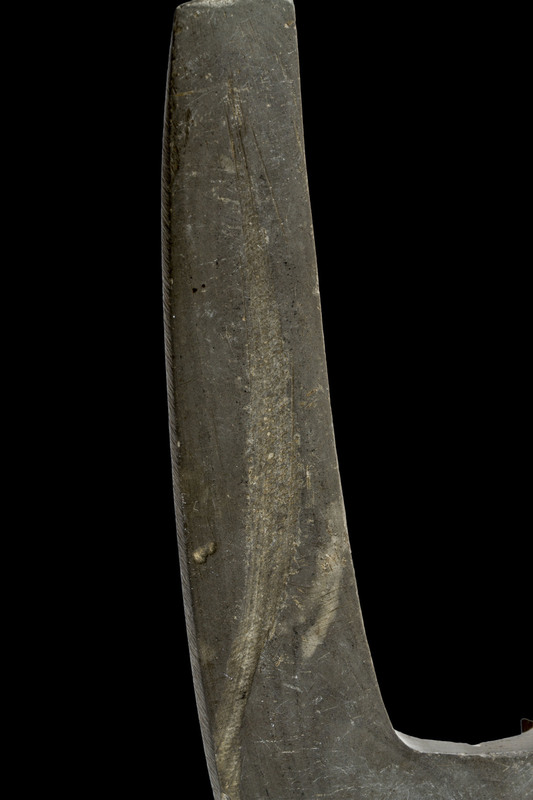 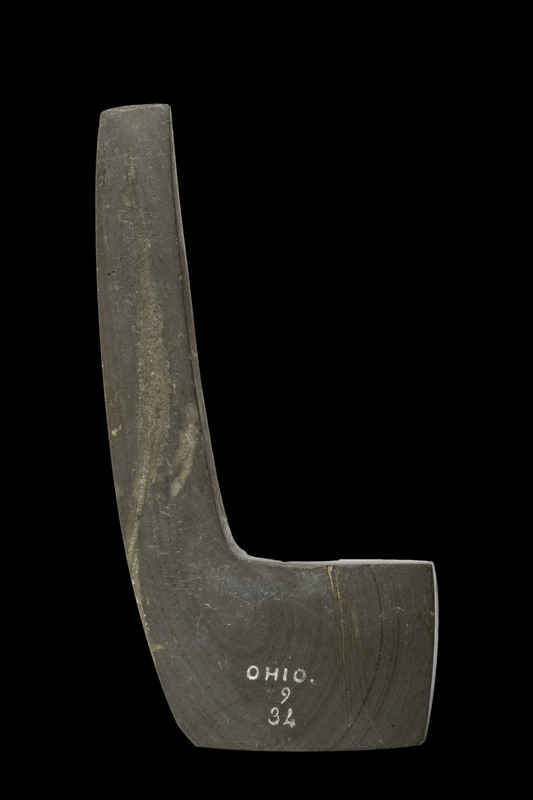 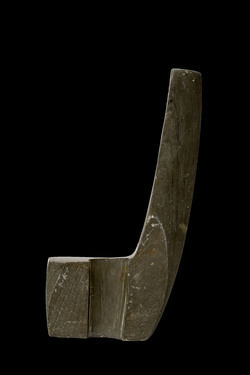 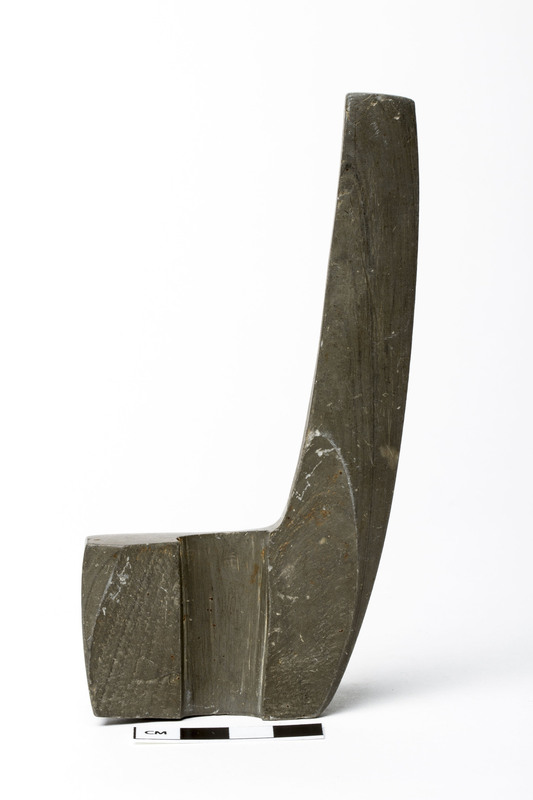 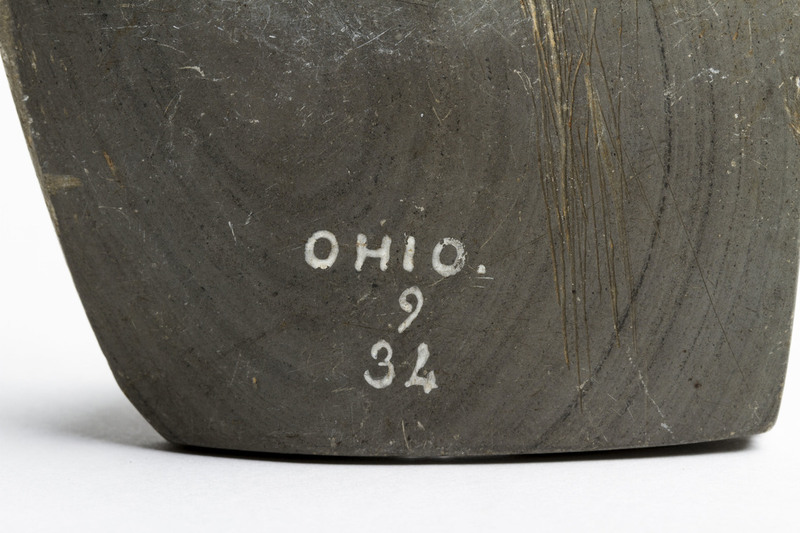 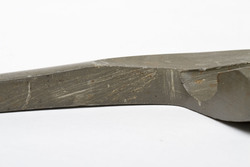 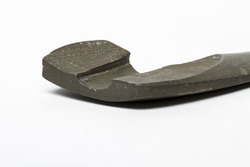 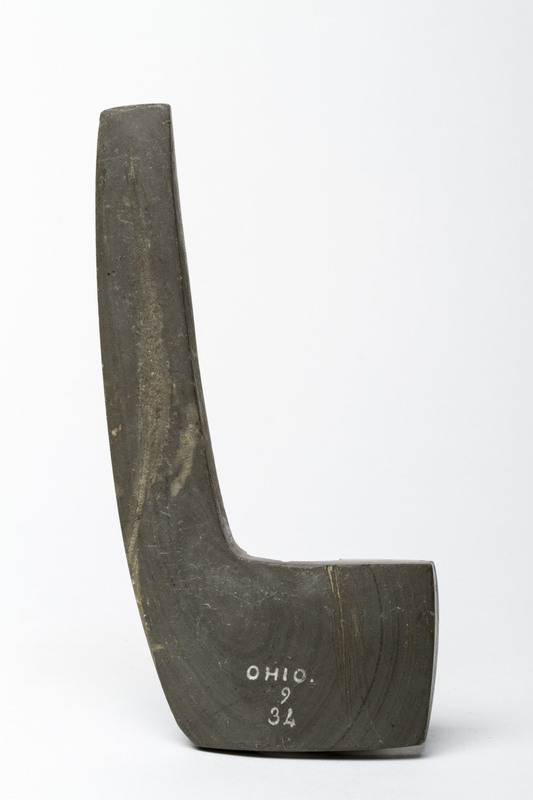 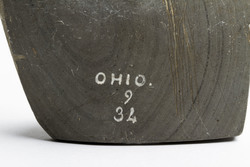 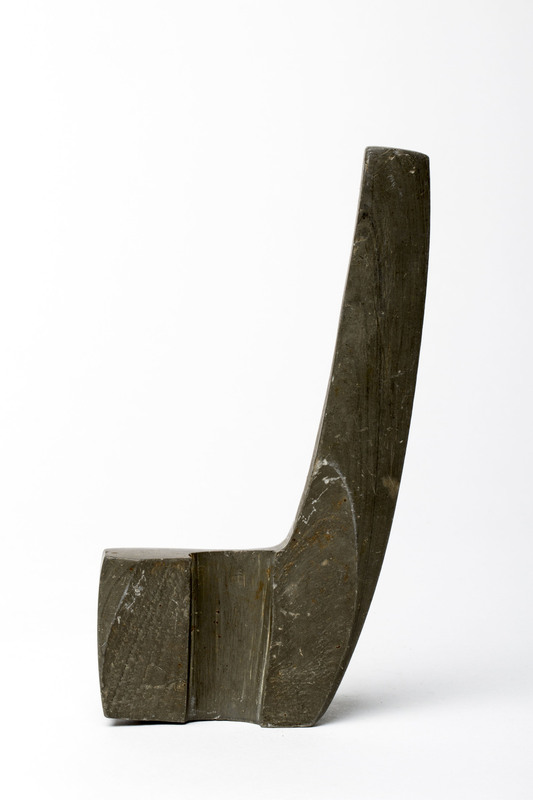 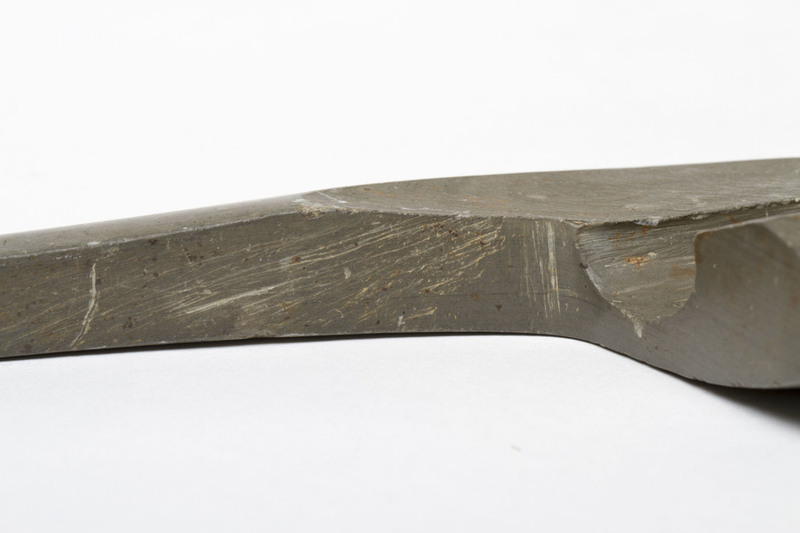 “AMNH 9/34,” FIT Archaic Bannerstone Project, accessed April 25, 2019, https://bannerstone.fitnyc.edu/items/show/77.